Duane is a humble and approachable person. He brings his vast selling and training experiences not just to the classroom but afterward to help others achieve is quick to personally respond to his clients about any questions they may have via email, phone or text. He is real, cares for his students and comes from the heart. He always starts every training session with “gratitudes” (a moment to reflect on the things life has blessed you with) as well as “goals” (time to project what you want to become) and this attitude towards living has become a hallmark of his. Duane is the first to admit: “We are all a work in progress. People who knew me years ago, simply cannot believe what I have morphed into. I believe your failures will propel you as much as your successes if you reflect on being thankful in everything and use whatever opportunities you have today to improve yourself.” In simple terms he shows everyone how to work harder on themselves than they do on their business. “Through school I always had multiple jobs and played several sports and some of these may have seemed unrelated to my future, but they taught me how to work, let me see how unwilling most people are to work, and what type of work I didn’t like! I have never been afraid to get my hands dirty and work hard, and have learned lots all the way through.” says Duane. After that he worked for GM / GMAC for seven years doing everything from collections and repossessions, to lending and sales. His last four years were spent as their national lease and sales trainer. There, he started to train dealers, sales managers, sales people and business managers. “It was a two-way street, I started to help a lot of people but was really blessed to meet and work with some great people, in a time of my life when I needed the support and vision.” he said. He left corporate life and went on his own, as a partner in his British Columbia based RelMark Relationship Marketing software (fathering CRM for the car business! ), and a co-trainer with a small private training company in Ontario, all the while helping his family’s used car, auto service, detailing and auto glass businesses. After three years he became fully independent holding his own training workshops, consulting and also hiring himself out as a Sales Call Closer, Business Manager, Lease Renewal Manager and Showroom Closer. Duane says everybody has moments and memories that stand out and sometimes redefine themselves. His most proud moment and pinnacle talk of his career came when he was asked by Joe Girard (Guinness Book of World Record #1 Salesperson) to do a talk with him and his son at the Automotive Hall of Fame in Detroit in front of a large audience and his entire family. “It was incredible and surreal to think I was asked by Joe himself to share the stage with him in the same building where he was an inaugurated member. I will never forget it. I’m equally happy to say that I now consider Joe and his family good friends and still get to spend time with him and learn from him. We even enjoyed Christmas dinner with him and his wife Kitty at his house this year.” says Duane. Another exciting opportunity came when Duane was asked by Sinclair Broadcasting Group in Washington to host a 2-hour special about the car business last April, broadcast nationally across the United States, reaching every major USA market. He now splits up his month conducting his regular Academy workshops, on-site in-dealership training, regional seminars, managing and selling at his family’s dealership, growing his real estate investment portfolio and coaching individuals on how to become more in all areas of their lives. “I like to be busy in business, am very physically active and I love to help others achieve their full potential.” says Marino. He is constantly updating his skill set and materials, learning from well over 50,000 sales people and managers he has now trained, consulting at nearly 350 dealerships in Canada and the U.S., and continues to hone his own sales skills and processes in the real retail environment of car sales across North America. He is not afraid to be a hands-on example while taking / making calls and selling at his client’s dealerships. Marino reminds his students that the reality is they will be dealing with people who have done their homework and wind up in their showroom after a long day’s work or sometimes a competitor. He also points out that walk-in traffic volume has been steadily declining in recent years due to the amount of information on the internet. Therefore, phone and email skills are paramount in dealing with today’s educated consumer. He notes: as much as the selling landscape is changing, the quality of the average ‘up’ has also increased (they are ready to buy!) Therefore meeting at the research the customer has done, is vital. “The customer may not be relaxed, easy going or care much about your feelings. Many come in feeling they are well researched, defensive and on a mission.” says Duane. To cope with this reality, he says he avoids using rigid scripts, or “Staying Off Price”, or old school tactics of “Slowing Down the Sale”, or droning on about features and benefits they may not be interested in. In fact, he urges sales people to listen for the customer’s wants, needs and words. “Use their words,” he says, not your own. Be a mirror and pay close attention to content, context, timing, and rapport. That means sales people must talk about 20 percent of the time and listen 80 percent. Listen, watch, make a connection, and give them an exceptional experience … that is the way to sell to today’s customer. “Experience is the best teacher. Learning from other people’s experiences is a whole lot less painful. In addition to learning the best techniques and ideas on how to handle virtually every situation they will encounter while working with customers, students learn how to understand the body language and thought processes of the buyer and their own, what signals they send off to the customer, and what signals the customer is sending to them. He reminds his students that most sales people fall into the trap of using the same old questions and word tracks as their competition, some of which are embarrassingly ineffective and have been around for decades, so buyers are usually giving the sales person an automatic, defensive, trained response. Change your language a bit, and watch your results skyrocket!” says Marino. He keeps attendees on their toes using plenty of role-playing, pace changes, off-the-wall comments, unique exercises, teasing, praise and tough love. He welcomes challenges of tough selling situations and encourages salespeople to roll play out difficult scenarios with him. Just like sales, his workshops are never dull or predictable. “Learning to walk, talk, sell, and lead from the heart is truly invigorating. Being passionate prevents all sorts of problems. Life is too short. Do what you love and love what you do.” says Duane. You can come to Duane or he and his team will come to you or subscribe to his teachings on MarinoTV and consider using his Automotive Business Development Center for your next sales or service event! – Duane is a consultant, trainer and strategist. – Duane entered the automotive industry when he was 16 and has run the lube rack, been a lot porter, sold (and sells cars today), done credit and collections, repossessed cars, been a car loans officer, set up floor plans, been the field rep for an automotive finance company, been the national sales trainer for an automotive brand and finance arm, managed F&I, headed a used car lot and worked as a closer. – Duane graduated from the University of Western Ontario. – Duane found his passion in helping others succeed when he began training and consulting. – SELLS CARS TODAY: Duane is active in the retail car business today selling and managing at his family’s used car store (founded in 1968), as well as working with customers at his client’s dealerships. The North American Automotive Dealers Association hosts an annual convention that brings automotive suppliers, dealers, executives, managers and visionaries together. Duane’s content is in NADA University and he is a NADA On Line University Webinar host. – FATHERED THE CRM BUSINESS: Duane fathered the CRM industry for car dealers developing and distributing the very first CRM automotive piece – RelMark Relationship Marketing Software – across North America with clients from Las Vegas to Halifax. – NUMBER ONE SALES PERSON IN THE WORLD: Duane was contacted personally by Joe Girard (www.joegirard.com), the world’s #1 retail car sales person, to do a talk with him in the atrium at the Automotive Hall of Fame in Detroit Michigan where Joe was inaugurated. This makes Duane the only automotive sales trainer to ever do a talk with Joe! Joe has become Duane’s friend and mentor ever since. – PERFORMANCE GUARANTEE: Duane created the first “You Don’t Pay Unless They Perform and Stay” training, performance and invoicing policy which allows a dealership to train any of their sales people and enjoy a no-risk performance guarantee window before being invoiced for our training. – TRADEMARKED “FLOW SELLING™”: Duane began the roll out of a totally modern and fully trademarked sales solution “FLOW Selling™” which is changing the “Road To A Sale” and “The Basics” for sales people and replacing both “Step” and “Menu” selling in the F&I department – and getting tremendous results everywhere! – LARGEST AND MOST CURRENT ON-LINE TRAINING: Duane developed from the ground up an entirely new on-line learning platform, MarinoTV, with over 2,500+ web streamed modern training chapters for every department of the dealership, no rebadged 1990’s stuff or hyped up general sales information. – FATHERED GAMIFICATION IN THE AUTOMOTIVE SALES TRAINING SPACE: with decreasing attention spans, and the increased use of online games, Duane started to utilize gaming and spaced repetition to engage and educate his clients. He provided the first platform of its kind in North America in 2016. – INTERNATIONALLY PUBLISHED “BEST SELLING” AUTHOR: Duane’s “Unstoppable Selling” was released by Prominent Books in the USA, Canada, Great Britain and Australia. It hit the Best Sellers list on Amazon.com for #1 in Sales, Success, Entrepreneur and Movers & Shakers categories AND overall volume of book sales in ALL categories, beating out ’50 Shades of Grey’ at #2 and ‘Game of Thrones’ at #3, and over 96,000 other books! Also awarded Amazon Editors’ Best Books of 2015! – CLEVELAND ACADEMY OPENS TO MIRROR TORONTO SERVICES: J.C. Spearry launched NAASSA in Cleveland, Ohio offering our full service workshops, in-dealership and on-line MarinoTV virtual training. – CREATOR OF “TNT” TRAFFIC EVENTS: These repeatable phone campaigns using our BDC For Hire professional Phone Snipers will fill your pipeline with fresh, interested buyers, and will never mess up your customer base. – NATIONAL TV APPEARANCES: Duane is the only Canadian Trainer to ever appear on National American Television (ABC, NBC, CBC, FOX). – Duane never accepts, pay ‘unders’ or ‘thank you bonuses’ to associations, companies or their representatives and stays completely independent so you never have to worry about conflicts of interest or outside influences. – Duane regularly works with retail phone, showroom and F&I traffic while training at his client’s dealerships, walking the talk and showing them how to use his techniques in the real world. – Duane seeks to deeply enhance, but not necessarily replace, whatever selling systems you currently utilize. He has respectfully attended dozens of workshops and has read over 400 books. Duane has spent tens of thousands of dollars on his own learning of various topics related to sales, selling, the sciences of achievement and the arts of fulfillment. – Duane is a trainer with an open mind who believes in attending training of all types and has an extensive education in practical psychology. 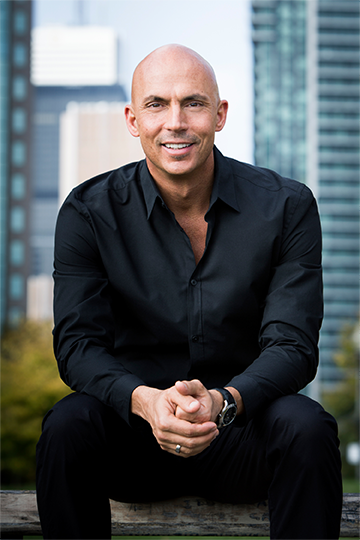 He is certified in several disciplines related to body language, peak performance psychology, health and wellness, sports psychology, sales language, time management, goal setting, state management and sales psychology. – Duane is a member of the International Association of Coaching. – Duane is a volunteer mentor for the North American Youth Business Foundation. – Duane is frequently asked to contribute his concepts and ideas to various trade publications and magazines. – Duane has been at the same permanent training facility in downtown Toronto that comfortably accommodates groups of 10 to 200 students. – Top seminar promoters Bob Mohr (USA) and John Kostakos (Canada) promote Duane across North America.